The best you can buy for cold feet! •Made in the USA and manufactured with Wild Rose Suri Ranch alpaca fiber from our herd. •Moisture wicking to help keep your feet dry and comfortable. •Hypoallergenic, Lanolin free & Naturally odor resistant. •Contents: 78 percent Alpaca, 20 percent Nylon, 2 percent Lycra. 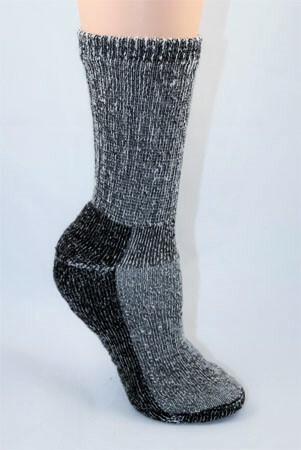 The Alpaca Survival Sock is a terry loop lined mid-weight sock designed for a wide range of outdoor activities and climates. The soft alpaca terry loops are combined with a durable nylon outer shell. 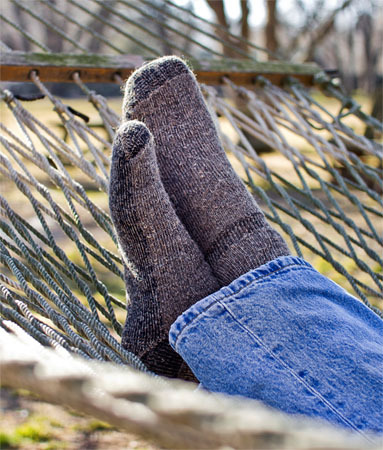 Reinforced foot arch band and a ribbed knit ankle support ensure a proper fit every time. 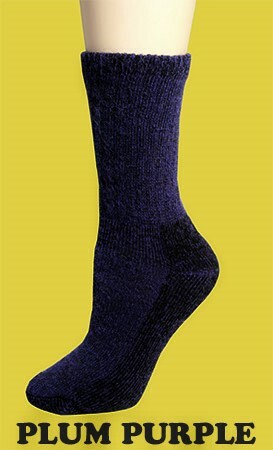 It has Increased durability by adding extra re-enforcement across the entire sole of sock! Grown and Made in the USA and manufactured with Wild Rose Suri Ranch alpaca fiber from our herd. Moisture wicking to help keep your feet dry and comfortable, even when wet. Semi Hollow fibers act as an all natural insulator to trap warmth while staying lightweight. Hypoallergenic, Lanolin free & Naturally odor resistant. An all natural, renewable fiber grown locally and manufactured in the USA. Care Instructions: Machine Wash & Dry - Use warm water and mild agitation. Tumble dry low. Do not iron or dry clean.